What Games Does Clayster Play Other Than Call of Duty BO4? Clayster was streaming Call of Duty Blackout during one of his streams when one of his fans asked him if he plays any other game titles on his spare time. Here’s what Clayster said. Clayster is a beast in Black Ops 4. Anyone who follows Call of Duty World League knows that Clayster is one of the best players ever in the game. He’s been making a name for himself way before BO4, going back all the way to 2007 when he started playing Call of Duty games competitively. Seems like a life time ago, but Clayster is still around and leading the esports organization, eUnited. Due to his popularity, Clayster has amassed a huge following on all social platforms. Some say he’s a superhero in the CoD community. With a heart of gold, he’s always there for his fans. During one of Clayster’s Blackout streams, he finished playing a round with his partner and took a small break looking at the chatroom. One of the users in the chat asked Clayster this question. Clay took a second to read the question and replied with this. ﻿ Being as busy he as, one would imagine that Clay doesn’t play many other games other than Call of Duty Black Ops 4 in order to stay in tip-top shape. So what Games Does Clayster play other than Black Ops 4? He responded saying that he doesn’t have much time right now. The past year or so, he’s been pretty good at not playing other games during the COD season which is what we would expect a CoD World Champion say. 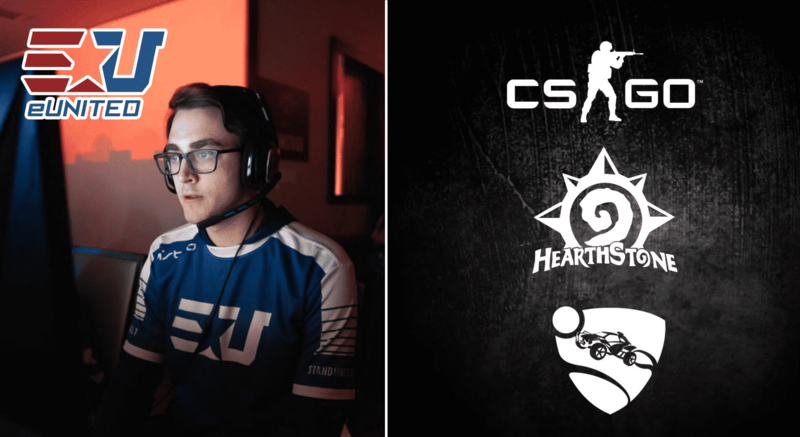 But Clay did give insight on what games he played in the past, such as Hearthstone, Counter Strike Global Offensive and Rocket League. All great games that are popular titles.